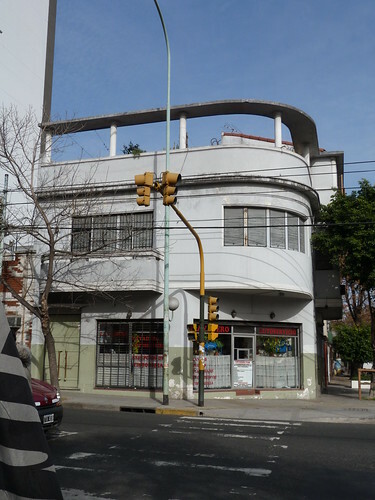 The building is looking a bit tragic, but could easily be a Bauhaus building in Tel Aviv, with a shop at street level, then a flat above and a terrace on top. Local government in Tel Aviv helped its citizens restore Bauhaus buildings of the 1932-5 era which had, like your photo, become pretty neglected by the 1990s. It would look fantastic, if it was sensitively restored. That sounds like a great program in Tel Aviv And I'm sure has produced wonderful results.